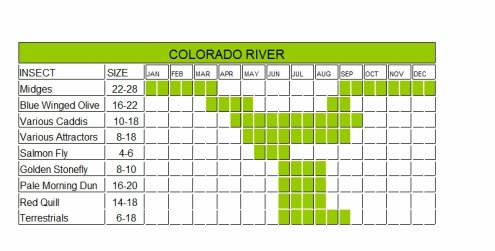 The use of the Colorado River hatch chart is very important when fly-fishing. If you understand what insects are present on a stream at a given time you will be better prepared. Fish are use to seeing certain insects in their stream at a certain time of the year. 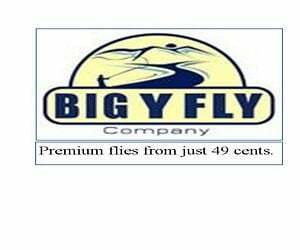 So if you know what is hatching you will know what type of fly fishing flies to use and that will increase your odds of catching fish. Read more about the Colorado River. Leave the Colorado River hatch page and see what other rivers are in Colorado.